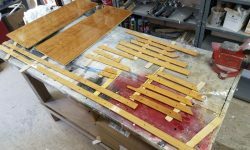 My first task of the day was to lightly sand and varnish once more the small trim pieces I’d been working on. 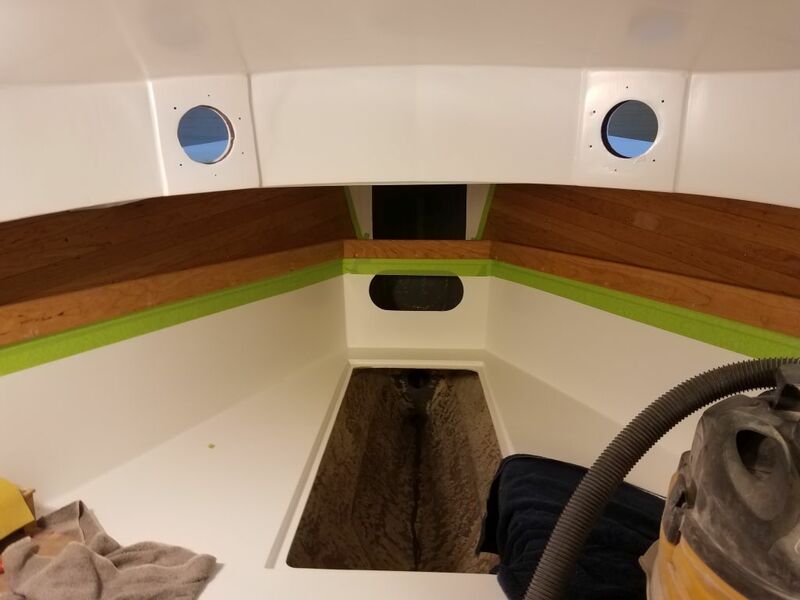 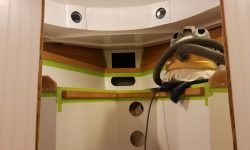 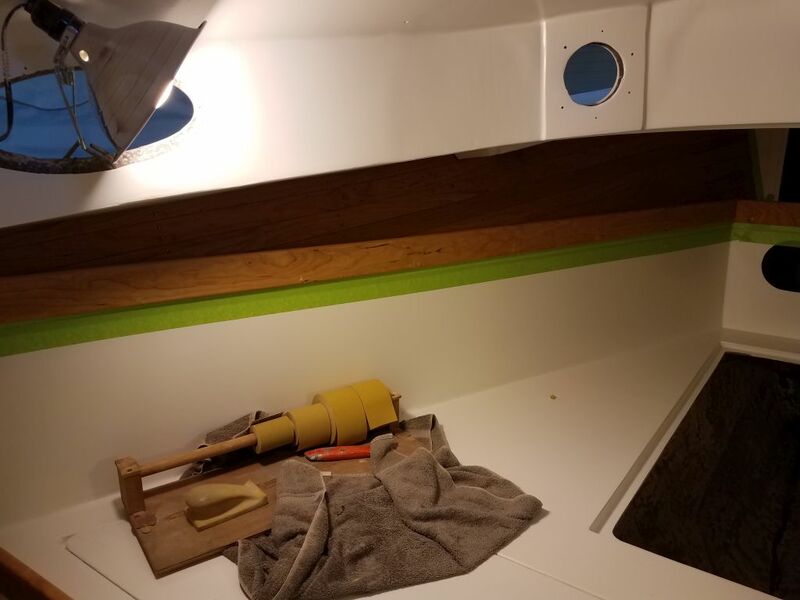 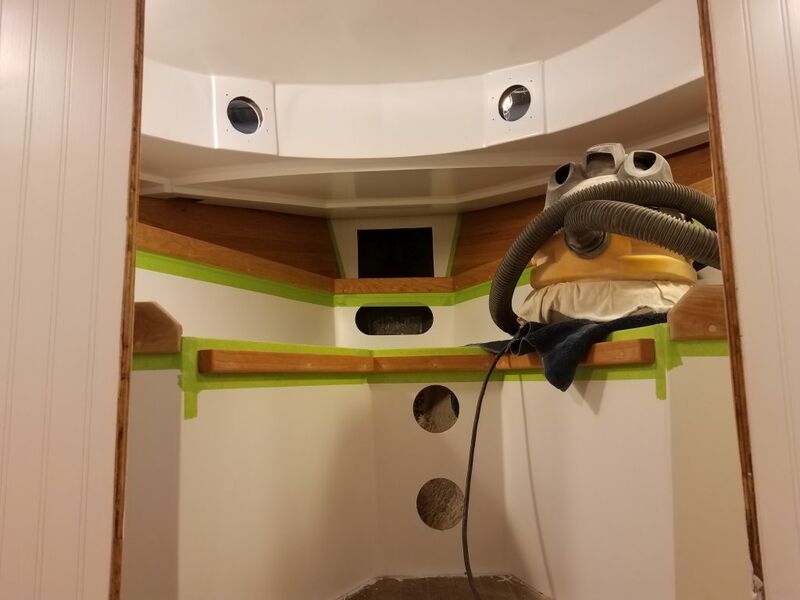 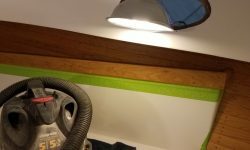 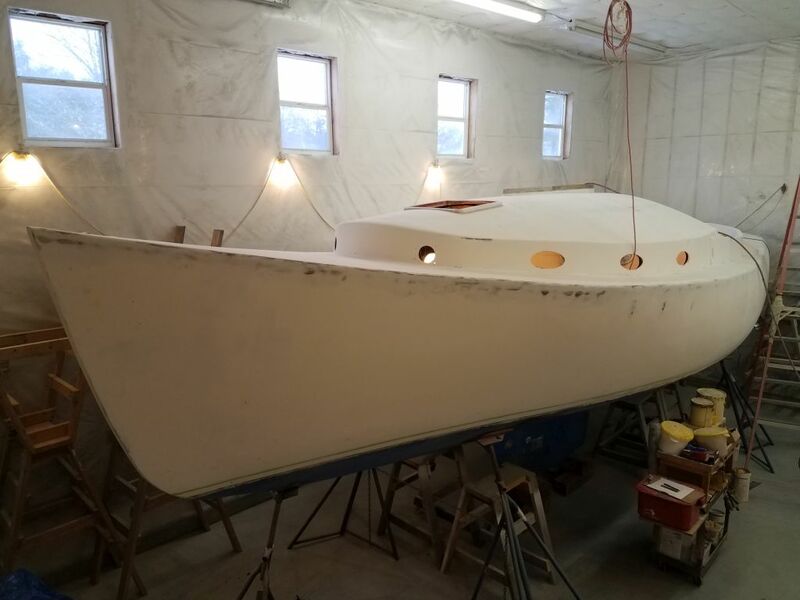 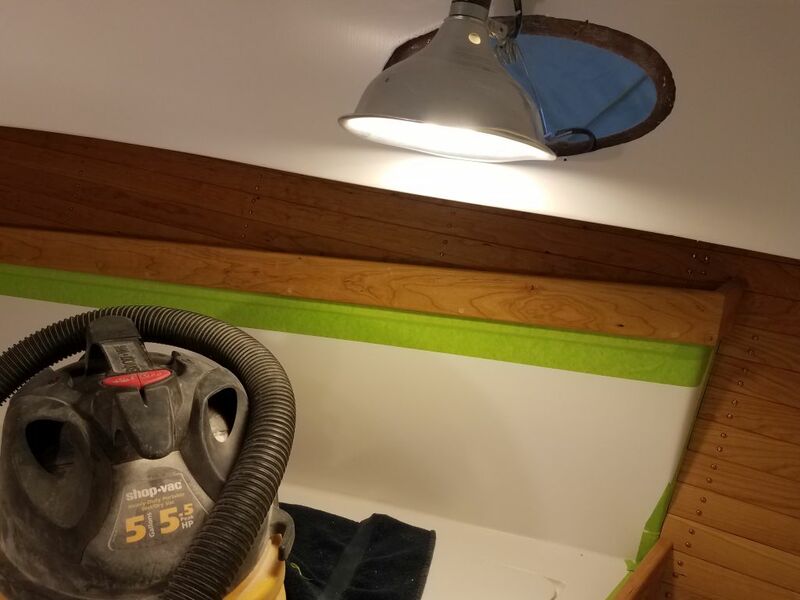 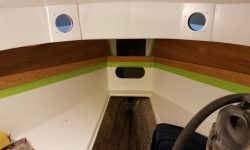 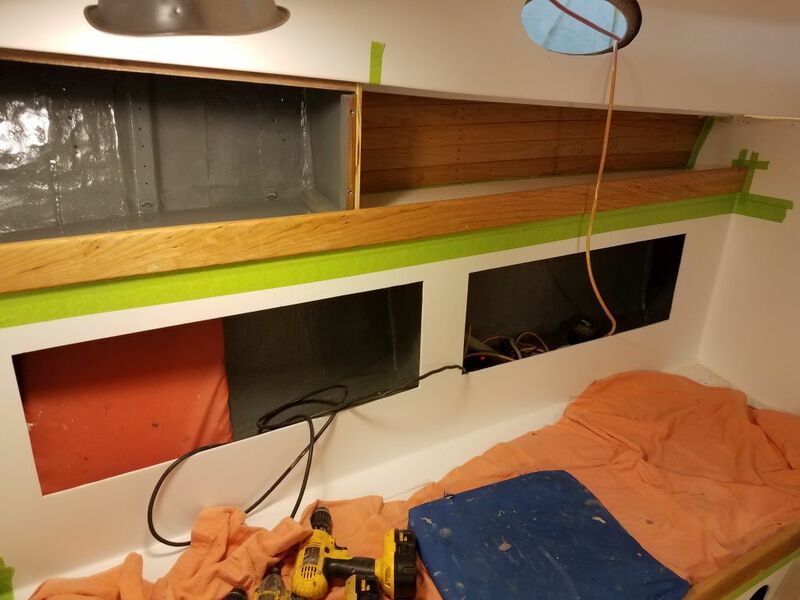 My immediate focus was to prepare the new trim in the boat for its own varnish coats, so I spent most of the morning on that task, including removing excess bungs from the newest trim, lightly sanding all the bungs and trim, and masking off everything as needed. 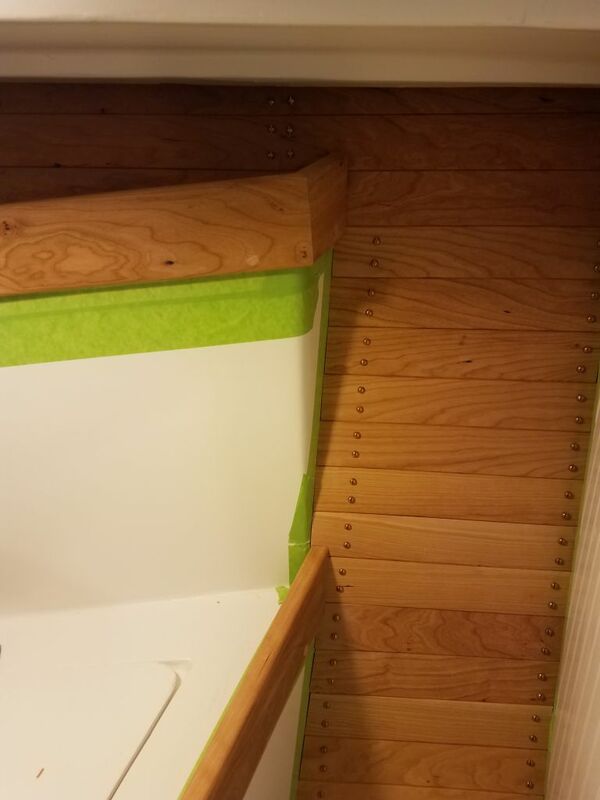 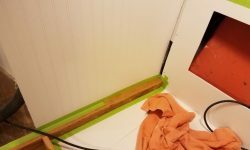 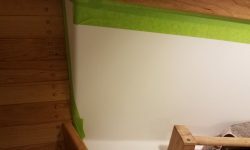 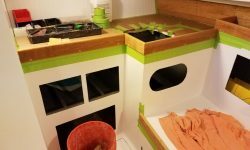 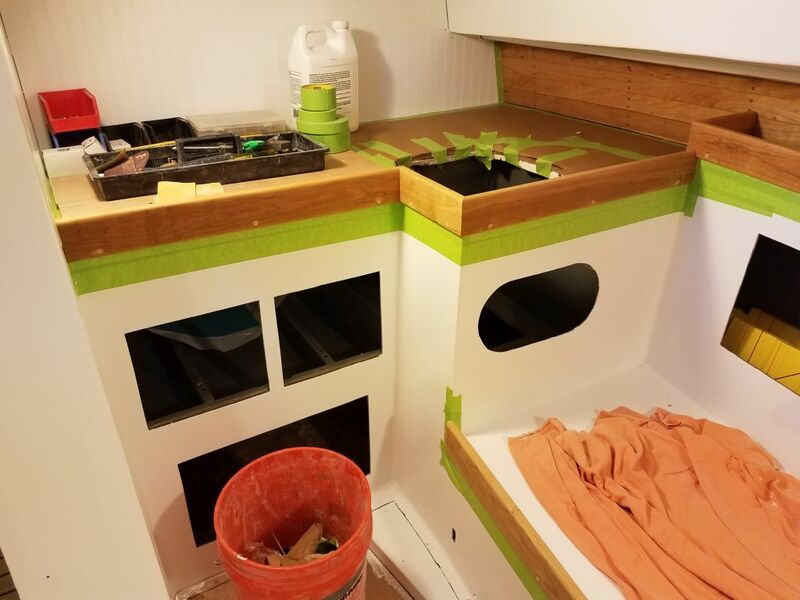 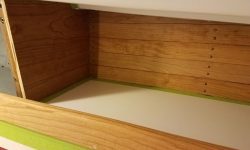 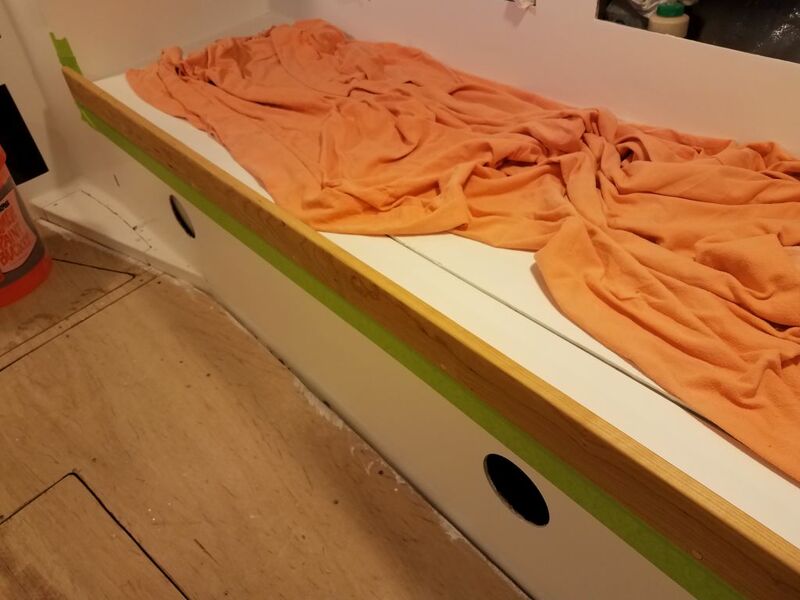 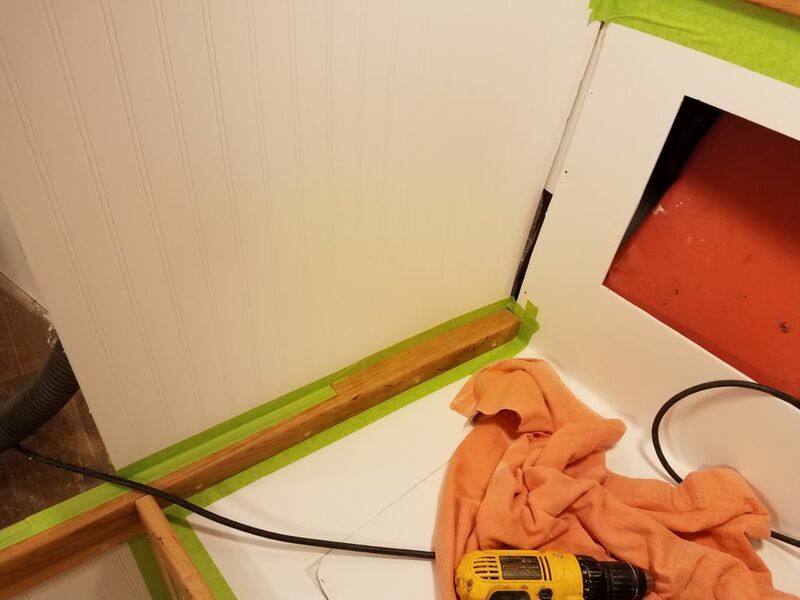 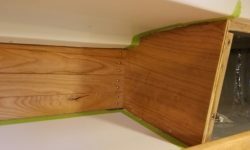 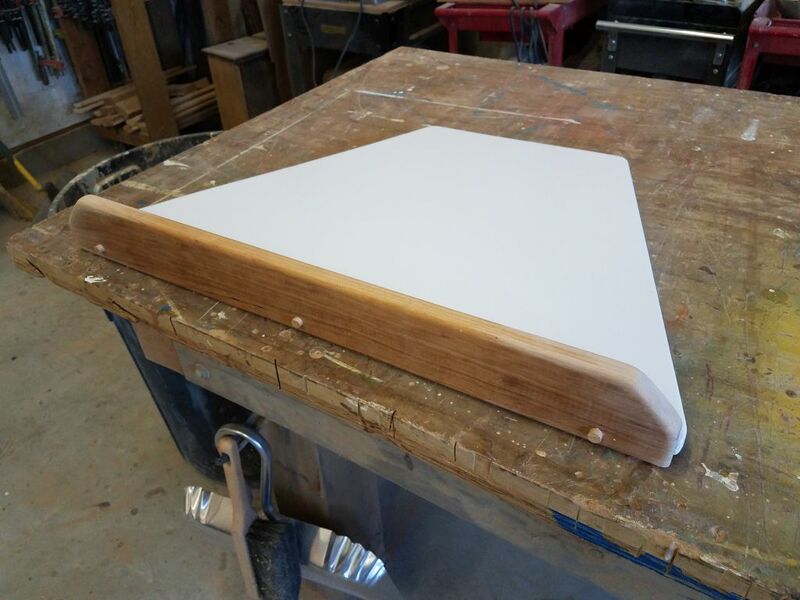 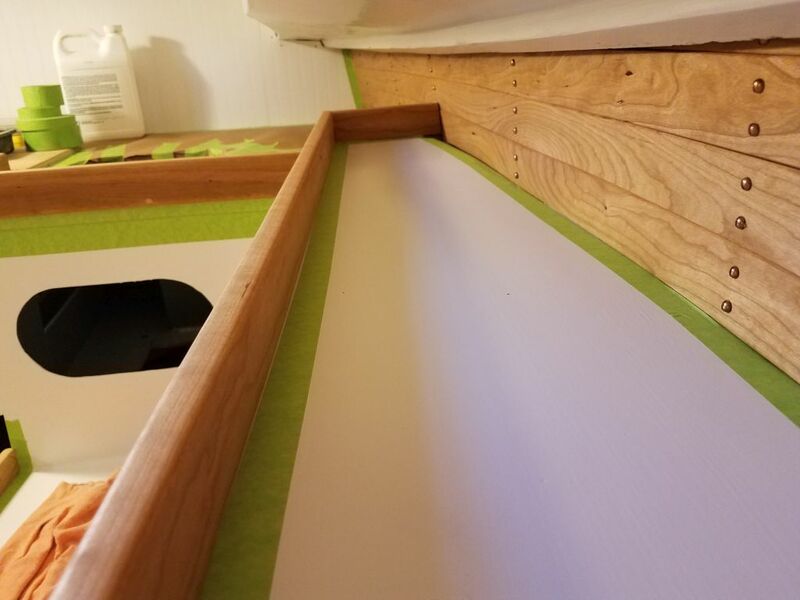 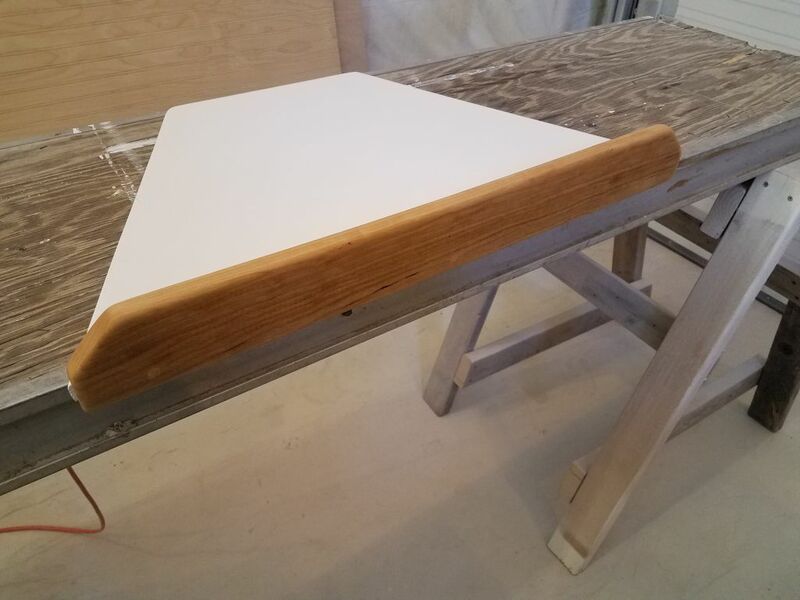 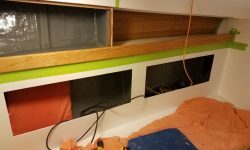 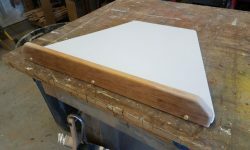 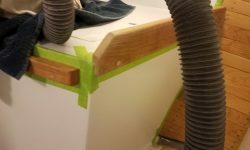 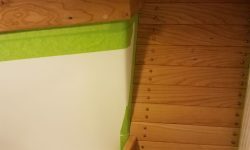 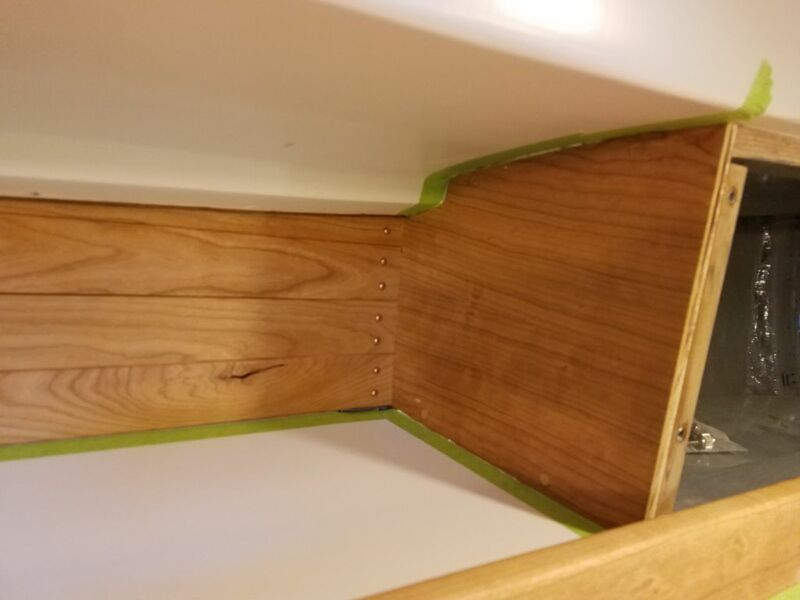 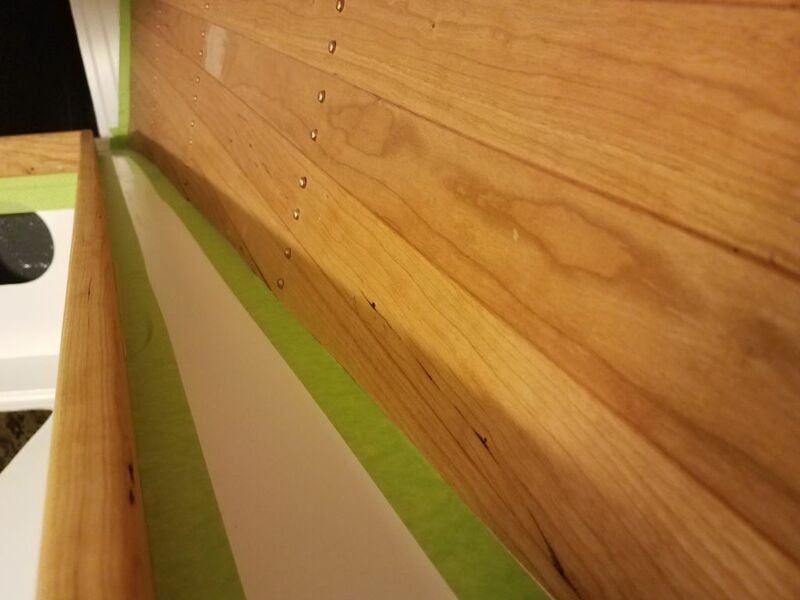 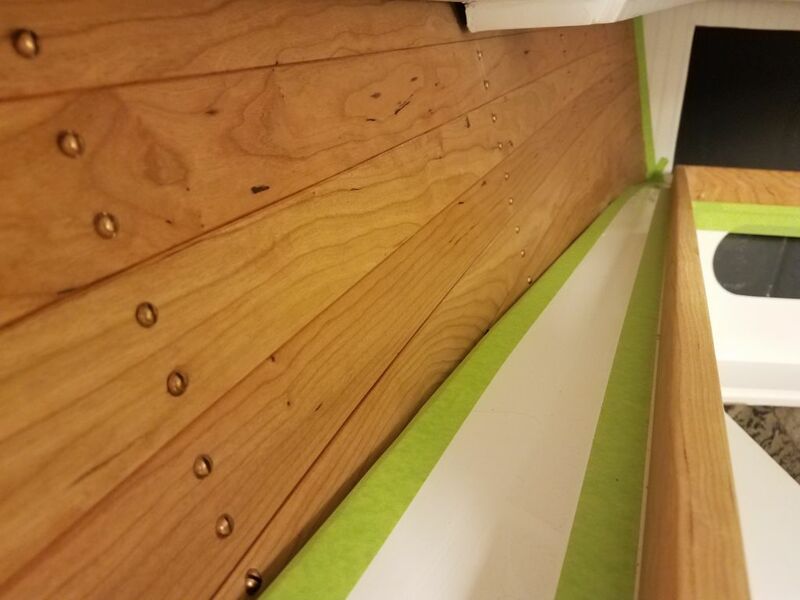 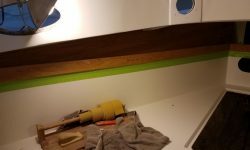 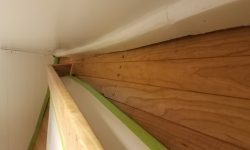 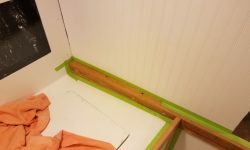 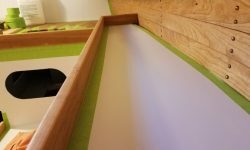 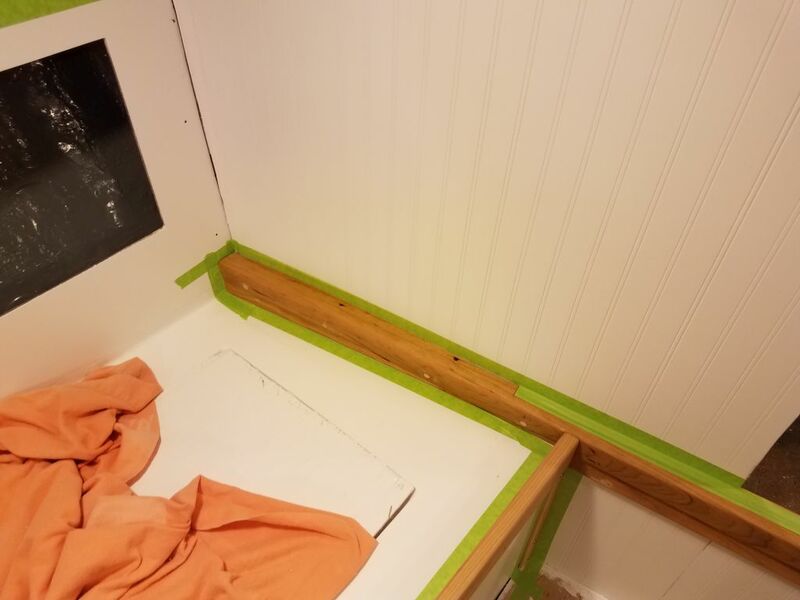 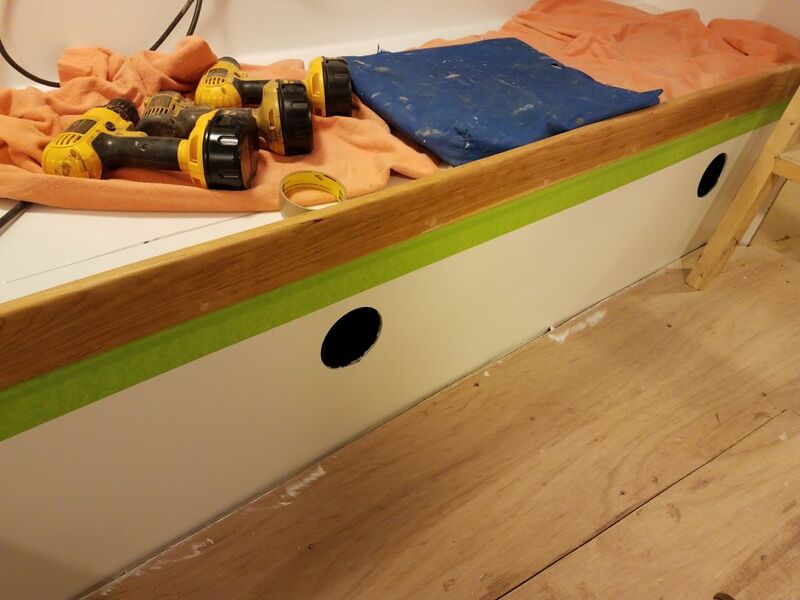 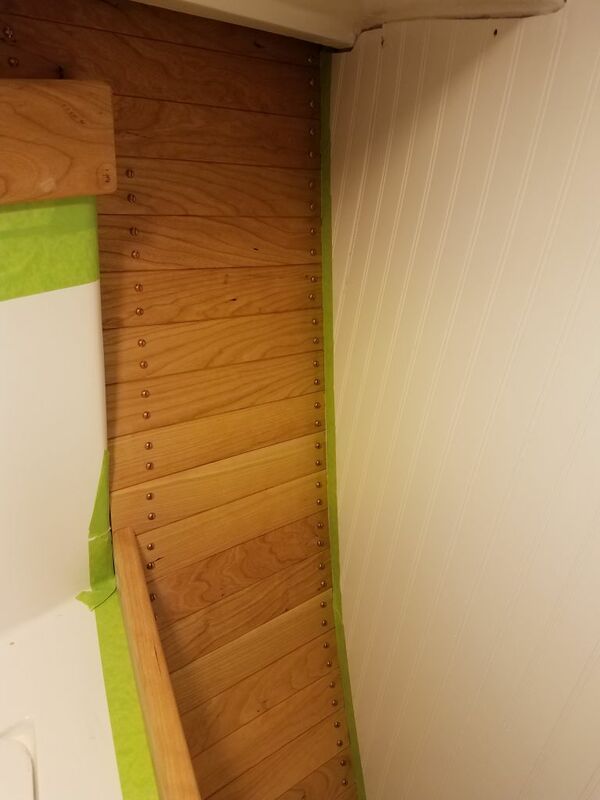 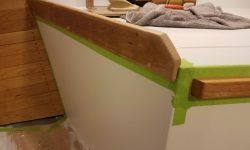 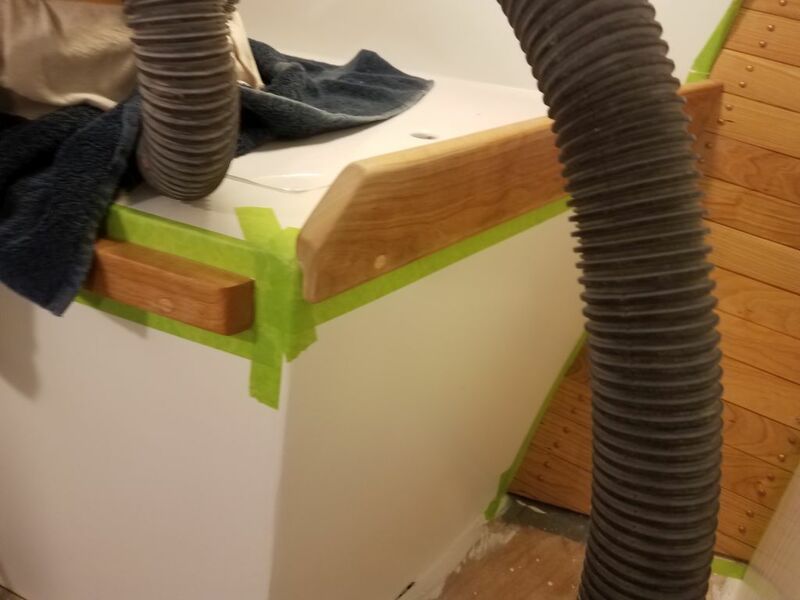 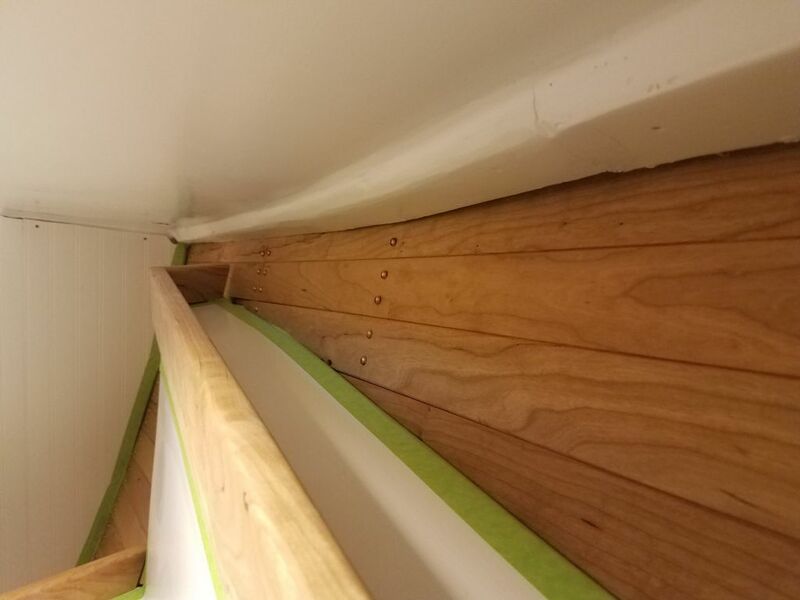 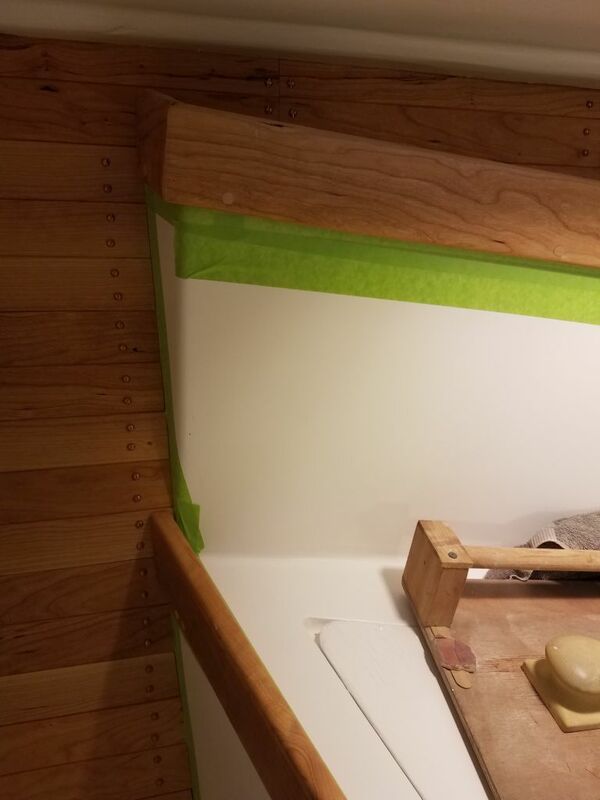 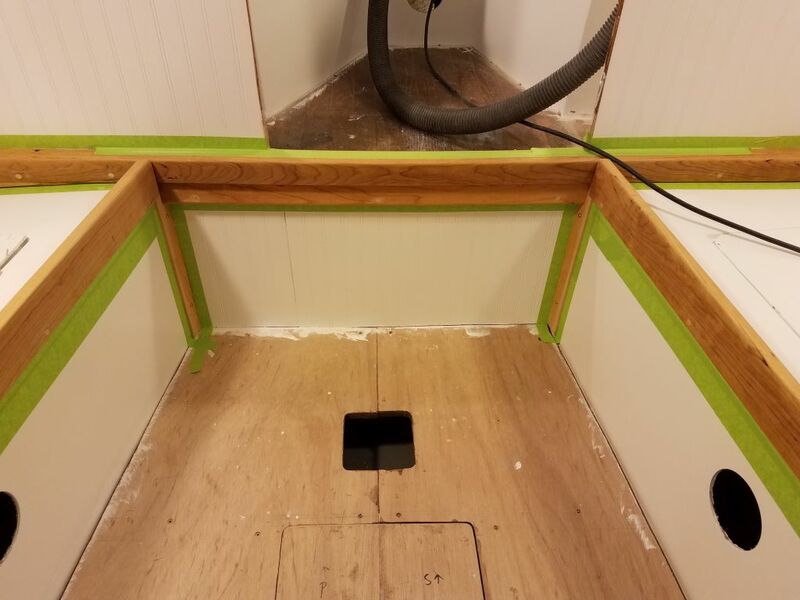 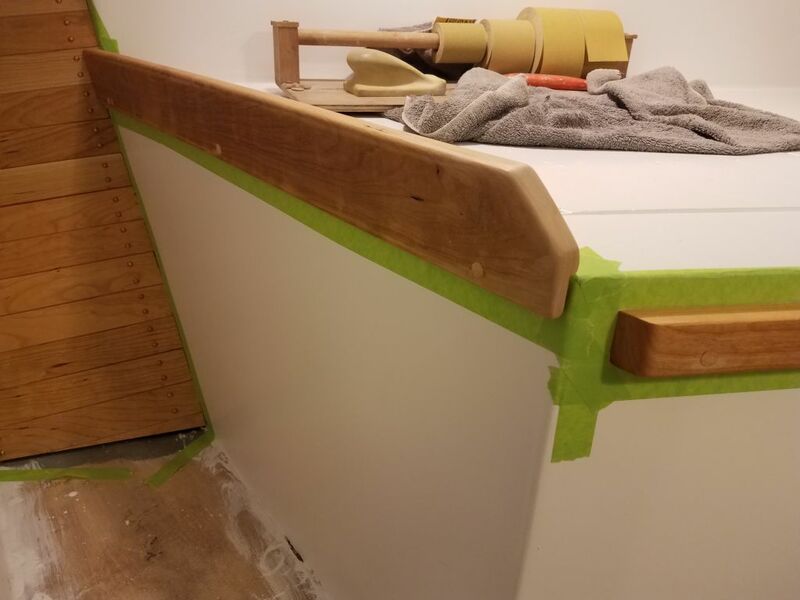 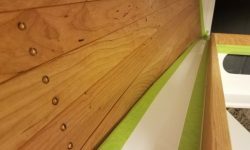 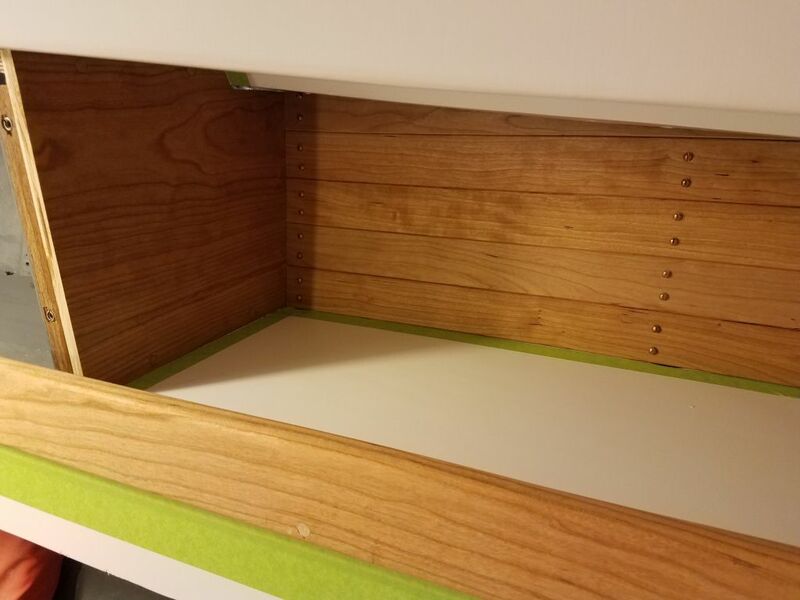 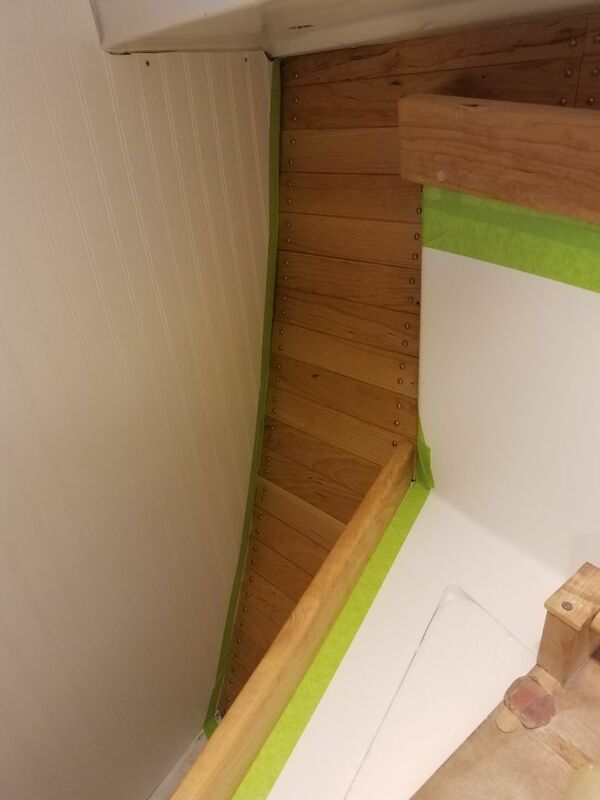 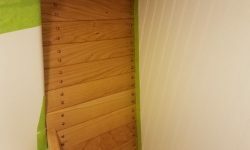 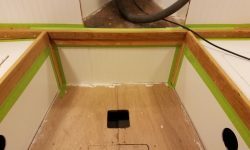 I also permanently installed the fiddle on the now-complete plywood v-berth filler piece so I could complete the varnish on that trim as well. 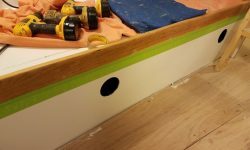 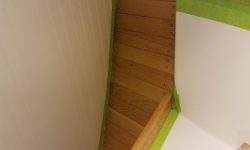 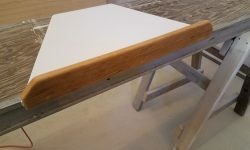 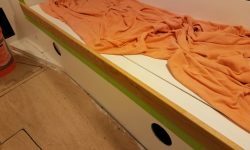 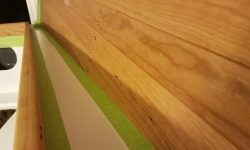 With one coat possible per day, I hoped to finish up the varnish work during the course of the week and weekend. 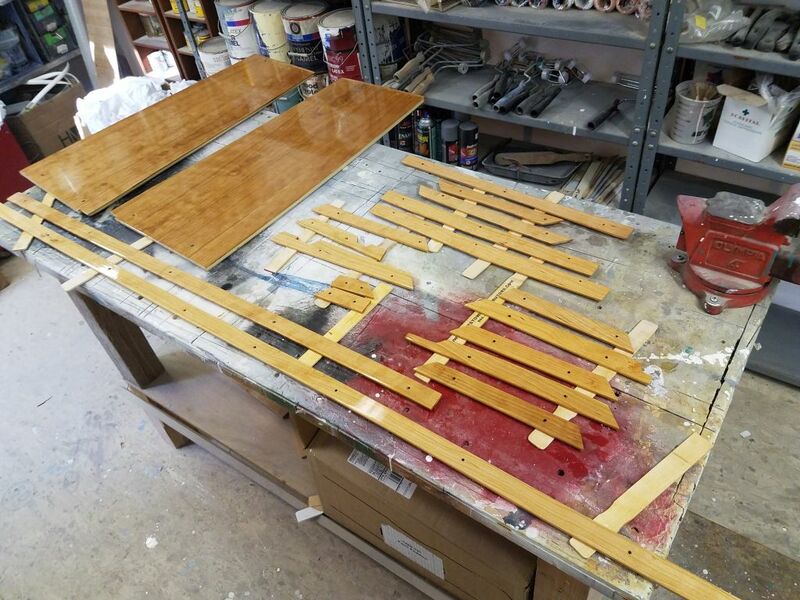 I’d planned to apply the varnish right after lunch, wanting to ensure its completion but unsure how long it would take, but was called away unexpectedly and unable to return in time to complete the work I’d planned.